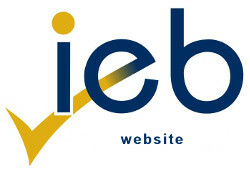 IEB Assessment Education and Training (Pty) Ltd (IEB ASSET) is a separate company from the IEB. However it works very closely with the IEB. It is committed to transforming learning through quality training in sound assessment practices. The company, accredited as a provider by the ETDP SETA since 2002, provides training against the assessor unit standards registered on the NQF by SAQA. IEB ASSET is proud of its portfolio of products made up of customised training programmes for a wide range of clients across both education and industry. These programmes are delivered by an excellent team of experienced facilitators who are assessment specialists. We are committed to the holistic development of practitioners therefore our courses are rich, building the foundational, practical and reflexive competencies of participants. Our courses are customised for the following contexts: Schooling (Foundation, Intermediate and Senior Phases), AET, FET Colleges, Higher Education and Industry. The IEB offers primary and high schools a range of courses and workshops which support the professional development of educators from Foundation Phase to Grade 12. Assessors and moderators assess qualifications that are registered on the NQF Framework. The IEB offers Assessor and Moderator Courses to all interested schools, colleges and AET providers. ASSET offers AET providers a range of workshops to support their work in the AET arena.